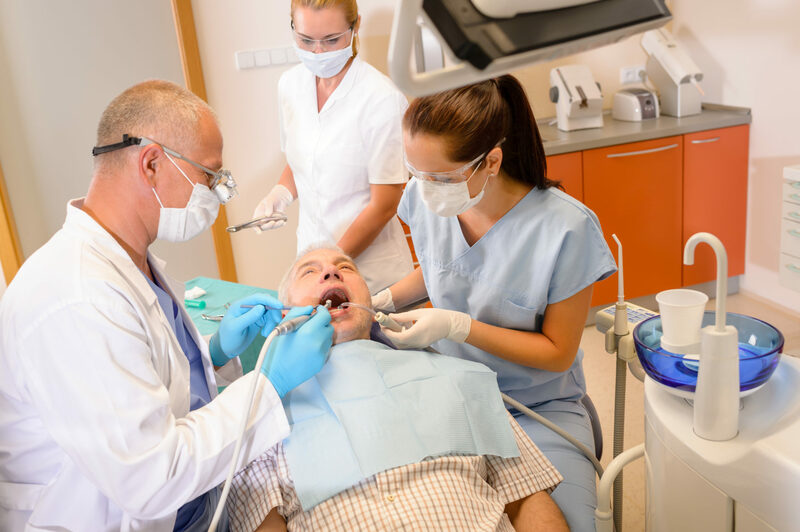 Patients with dementia pose several challenges for the dental professionals because their oral hygiene is not as good as the rest of the population, which results in an enhancement in oral disease. Dental care in early dementia is essential before it progresses to an intermediate or more severe stage. Poor oral health can affect the diet and nutrition, oral comfort, knowledge, conduct, and the quality of life of dementia patients. Dementia is a progressive neurodegenerative disease that affects one’s ability to perform their routine life tasks. It leads to a decline in many important areas of function including memory, intelligence and communication skills. Symptoms of behavioral and psychological problems like depression, psychosis and aggression may also be observed in dementia patients with the progression of the illness. While people with dementia go through similar oral health problems, just like the common population, the extent of risk to their dental health can depend on the type of dementia. The impact of the condition, particularly in the advanced stages, becomes the reason for poor oral hygiene with a rise in periodontal disease, tooth decay and a higher incidence of different dental problems. Reduced Saliva – Medications make the salivary glands produce less saliva. Saliva is vital to keep the mouth healthy and to prohibit the onset of tooth decay and other oral injuries. Medications – Being on long-term medications that contain sugar can cause tooth decay, mouth dryness and trouble using dentures. Changed diet – Modified eating habits including substitution of principal meals with tiny snacks, consuming boiled sweets or intake of sweetened tea, create a favorable oral environment for tooth decay. Reduced Dental Care – Diminished abilities in keeping up with their tooth brushing routine and denture care. If you observe these symptoms in a loved one, discuss with your doctor to help determine the cause, or look for professional dental care catering to dementia patients. Dental Care Assistance – Reminding and guiding people with their regular tooth-brushing. An electric toothbrush can be provided to the dementia patient if manual skills are lacking. Reduce Sugar Intake – Watching over and minimizing sugar intake where applicable for people with natural teeth. Use Fluoride – Routine fluorides application to natural teeth including fluoridated tap water, mouth rinses, toothpaste, and gels. If patients refuse toothbrush, fluoride swabs can be a replacement for it. Routine Dental Check-Ups – Regular visits to dentists who are specialized in providing care to dementia patients. Dental Appliance Care – Ensure to maintain proper denture cleanliness, storage and identification to prevent misplacement. Regular Mouth Checks- It’s essential to have routine mouth checks for dementia patients because they may not inform you about an existing problem.